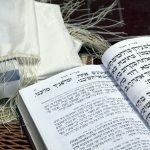 Author Anne Elliott, from Homeschooling Torah, has published a video and a list of helpful resources for learning the Hebrew language. Click here to view the extensive list of resources. 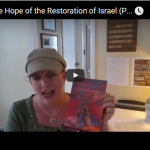 Author Anne Elliott, from Homeschooling Torah, has published a series of YouTube videos about the hope of the restoration of Israel, as well as some thoughts about what we can do while we wait for the Messiah’s return.